Archaeologists have discovered what seem to be the remains of a "skull cult" in an ancient ritual site in Southeast Turkey. 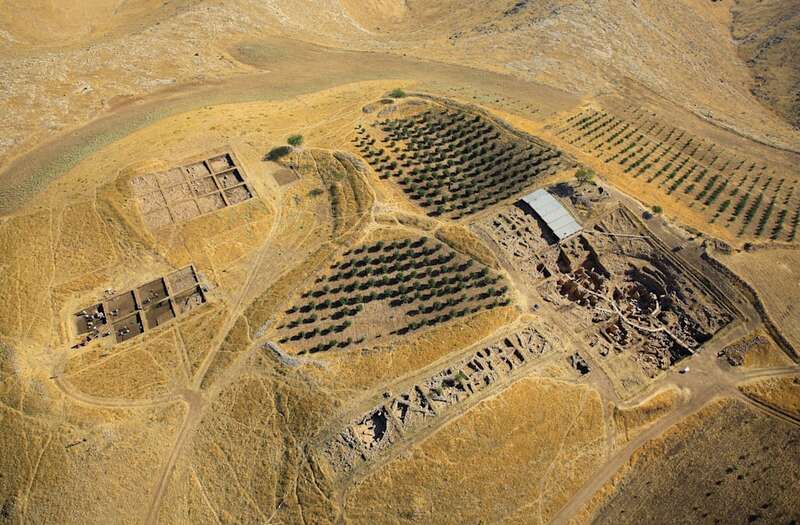 More than 9,000 years ago — before the hanging gardens of Babylon, pyramids of Egypt, or stones of Stonehenge existed — neolithic, Stone Age people gathered at the site, called Göbekli Tepe. No one is exactly sure why. But a new study published by researchers from the German Archaeological Institute in the journal Science Advances suggests that the location had some kind of ritualistic significance. There is no sign that humans buried their dead there, but there are at least 691 shards and chunks of bone. At least 408 of those fragments come from human skulls. Stone Age people would have encountered skulls on display or hanging from pillars at the site. Decorative reliefs show the importance of the site. Details of artificial skull modifications. A, C, D: carvings, B: drilled perforation. Skull fragments with cut marks. The site also boasts monumental buildings with "monolithic T-shaped limestone pillars, an impressive repertoire of limestone sculptures, low and high reliefs," all in a prominent location, according to the study. In the new study, the research team writes that skull fragments from at least three individuals show signs of deliberate modification. There are deep grooves running across the forehead of some bones, going around the back of at least one. One skull has a hole drilled in it. None of these markings come from decapitation or from taking the flesh and tissue off the bones (though other marks attest to this). Instead, they seem to have been inflicted shortly after death. That indicates the skulls were somehow on display, perhaps even hung so that visitors would see them dangling. Similar remains have been found in other archaeological sites where there was some worship of skulls, including other sites in ancient Anatolia and the Levant. People have long venerated human skulls for a number of reasons — some worshipped ancestor, others believed the dead could protect the living, and groups also displayed the skulls of their enemies. Anthropologists refer to these practices — where there seems to be religious or ritualistic practice and a treatment done to multiple skulls — as skull cults. Researchers think that early hunter-gatherers might have come together at the Göbekli Tepe site. The location is home to one of the oldest known man-made buildings that we think was constructed for prehistoric rituals. This temple seems to have been home to one of the oldest of these skull cults that researchers have encountered so far.